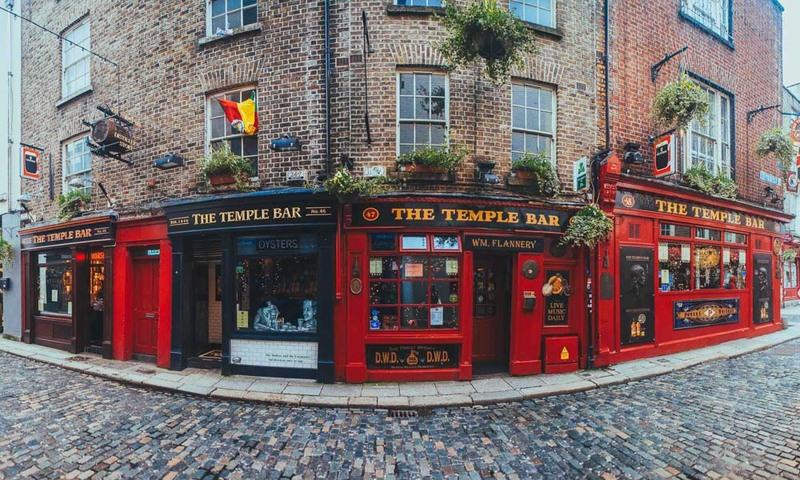 Dublin, home to some of the world’s friendliest people, the best pubs, and a fascinating 1000-year history. It’s a place to go for a good time and a slice of the famous Irish craic. Being three quarters Irish, I’m somewhat biased, but I do think the Irish are some of the loveliest people you’ll meet. These are some suggestions to get you started in the city – from things to do in Dublin to places to eat, drink and be merry. We’re both vegetarian so we’ve also included some of Dublin’s best vegetarian-friendly restaurants. 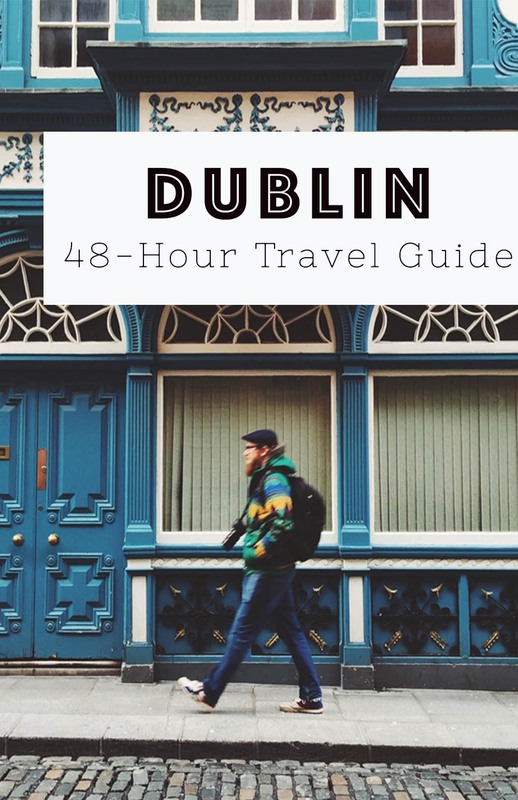 I haven’t set out a specific itinerary, but instead highlighted some of our favourite places in Dublin so you can pick and choose to create your own perfect Dublin trip. Enjoy! 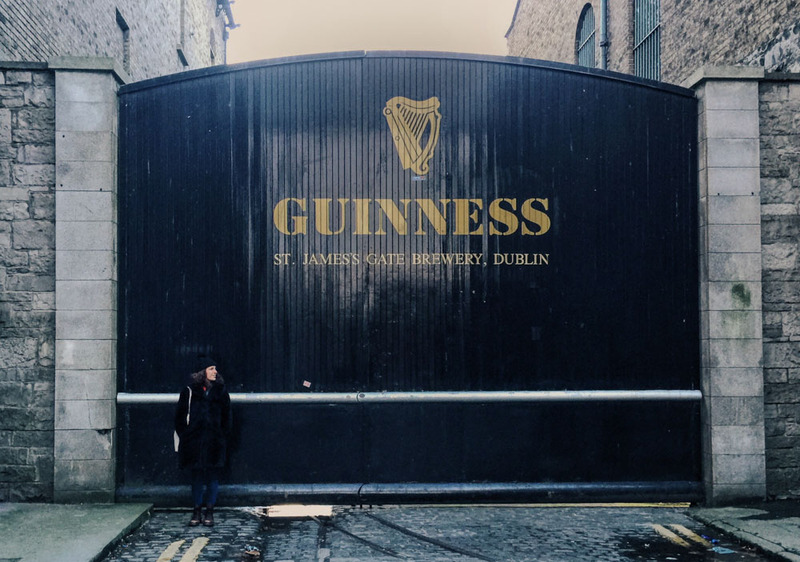 Dublin’s number one attraction, the Guinness Storehouse isn’t your usual brewery – it’s actually a giant pint-shaped Disneyland for guinness lovers. 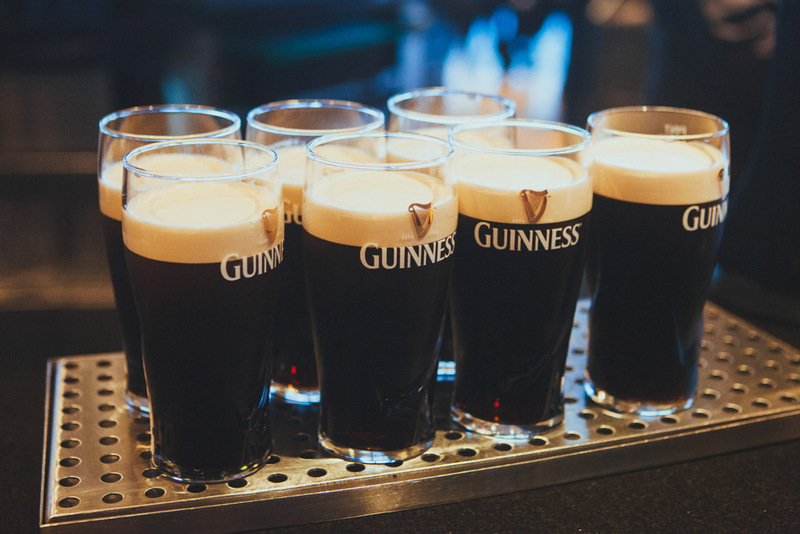 From learning how to pull the perfect pint to exploring its iconic advertising history, there’s something to entertain everyone – even if you don’t like guinness. I went there about ten years and wasn’t a convert, but this time I drank my first full pint of guinness and actually enjoyed it! Apparently it tastes its best at the source. 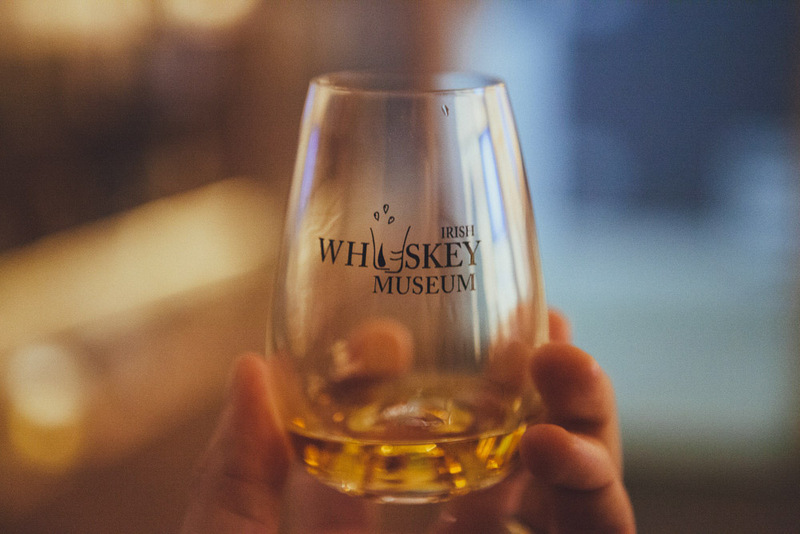 This little museum is a homage to Irish whiskey where you’ll be taken on an interactive guided tour through the history of Irish whiskey. At the end, you get to do a tasting of three whiskeys, or you can upgrade to a VIP ticket to try some aged whiskey too. We had originally planned to go to the Jameson distillery but didn’t realise you had to book in advance so were turned away. In the end it worked out well as we discovered this museum, which we suspect may be the better option. 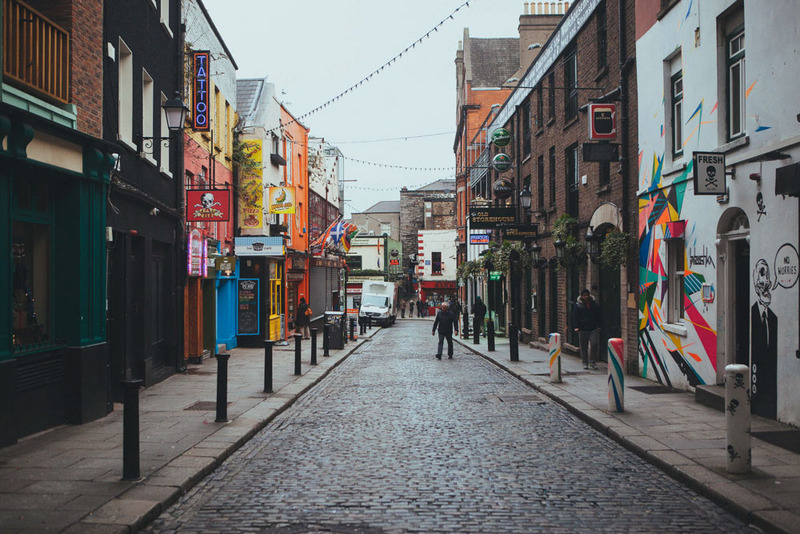 When I think of Dublin, the first image that comes to mind is the colourful streets of Temple Bar. It’s a gorgeous place to walk around and simply soak in the atmosphere and, if you’re like us, take a million photos. It also has lots of pubs so is a fun place to go out at night. The Georgian architecture in Dublin is gorgeous and can be found throughout the city. 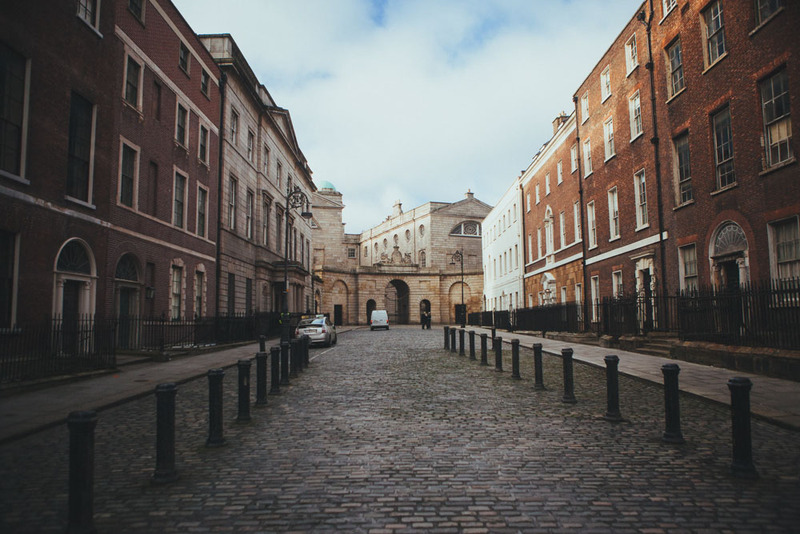 Notable streets include Henrietta Street on the northside of the city, Fitzwilliam Square, and the area around Merrion Square. Home to Ireland’s national collection of modern and contemporary art, the gallery includes works by Goya, Rembrandt and more. It also hosts a diverse range of exhibitions featuring both Irish and international artists. Both times I’ve been to Dublin, this has been closed, but I’m including it as I’m desperate to see it and I know it’s a Dublin highlight for those who have visited. The 18th-Century library looks magnificent, in particular the Long Room, which houses 200,000 books. It also gives you the opportunity to see the beautiful Trinity College, Dublin’s main university. One day I will get there! 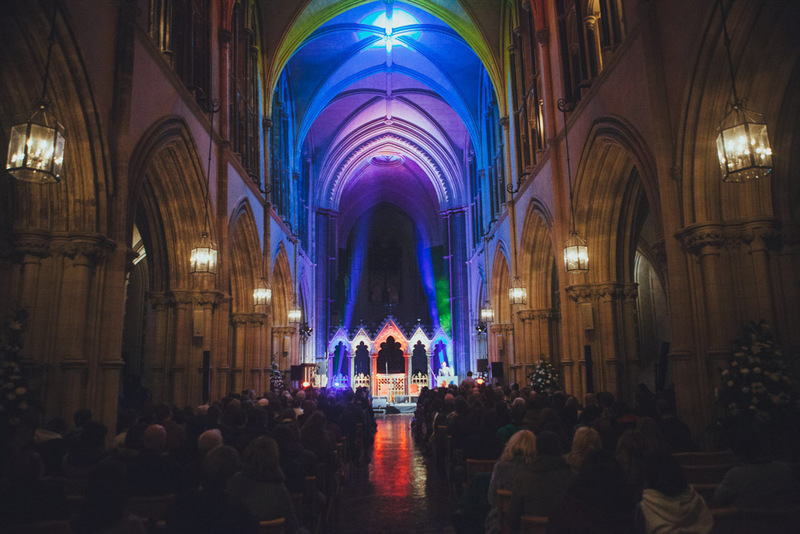 We were lucky enough to go to St Patrick’s Cathedral for a TED-style event called Proclamation, which was part of the festival we went to at New Year. It was an incredible setting for the night, and was a great way to see the cathedral in action. You can also do guided tours in the day time. Dublin is filled with plenty of museums and attractions aside from the ones listed here. Other points of interest that are often included in people’s “must see” lists, but that we didn’t go to include Kilmainham Gaol, Chester Beatty Library, National Museum of Ireland, and the Teeling Whiskey Distillery, as well as, of course, the Old Library. Next time! 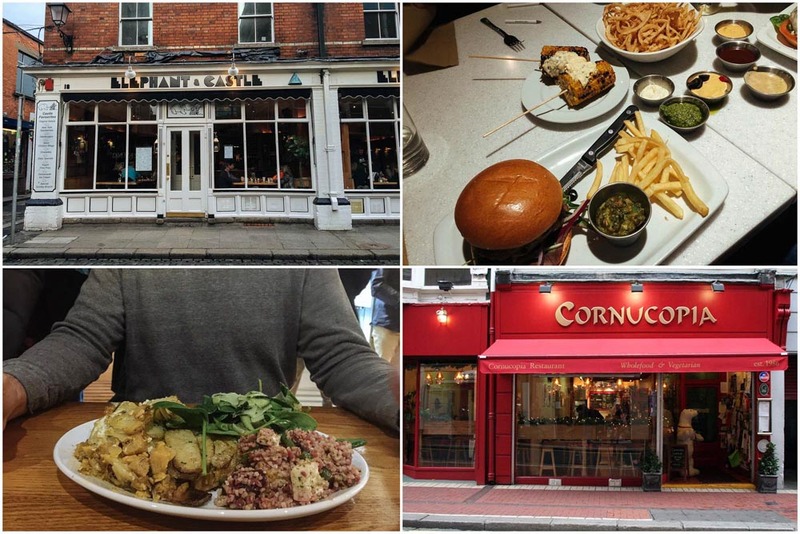 Cornucopia is Dublin’s number one veggie stop. It’s a classic vegetarian restaurant featuring a pick and mix selection of hot and cold dishes, including stews, bakes, curries and salads. The food is hearty, the portions generous, and the restaurant itself has a cosy, friendly atmosphere. It costs around 10 euro for a main dish plus three salads. For something a little more fancy, Winding Stair serves modern Irish cuisine and includes a good range of vegetarian options. Dublin’s not cheap at the best of times so something at this level will cost around 20 for a main course. The restaurant is housed above a charming little bookshop, which is also worth visiting in the day. Originally from New York, Elephant & Castle came to Dublin after one of the original restaurant’s Irish chefs was denied entry to the USA. Now it’s become a Dublin classic and is particularly popular for breakfast and brunch. Crucially, there are lots of vegetarian options. If you fancy a burger, Dublin has plenty of options including local chain Jo’Burger, which has great reviews. We opted for one closer to our hotel called The Counter, which has a dizzying array of options to build your own burger including toppings, patties and sauces. The veggie burger was delicious and didn’t feature beans or potatoes, which is always a bonus in my books. Pub food is a stalwart of Dublin cuisine, especially Irish stew and oysters, Sadly, it tends to be a little thin on the veggie side and the only options tend to be soup, sandwiches or chips. Still, the lack of choice is worth it for the atmosphere. We ate at Dublin’s oldest pub, The Brazen Head, which is a lovely higgledly-piggledy jumble of rooms. This is a cool little cafe called Kaph is popular with hipsters, and serving a excellent cup of coffee. They also have some good cakes on offer. My favourite cake in Dublin was found in The Woolen Mills in the form of a lemon and ricotta sponge – delicious! We sat in the cafe section of this sprawling four-storey “eating house”, which had a bustling, friendly atmosphere and stylish decor. It’s housed in an old mill right next to the River Liffey and Ha’Penny Bridge. Java Republic is a new cafe by an Irish-owned artisan roasted coffee company by the same name. 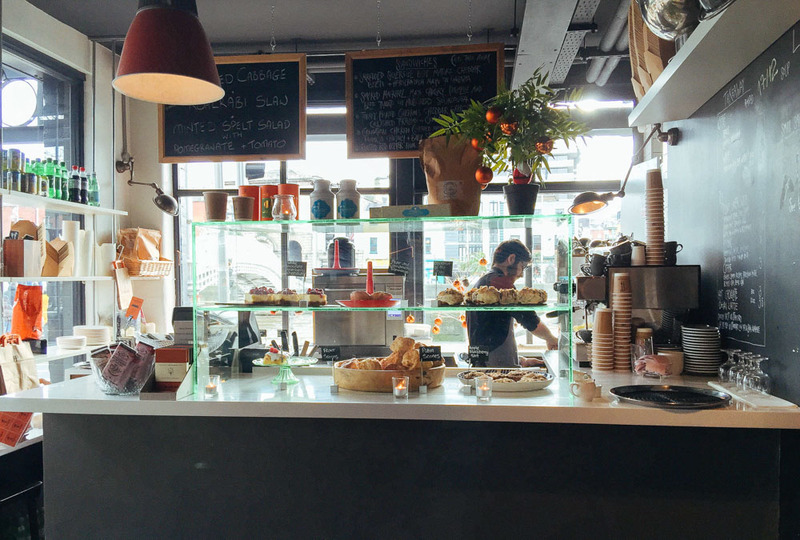 The stylish minimalist cafe on Molesworth Street is a must for coffee lovers. Keoghs cafe is the place to go for Dublin’s best scone. There’s more flavours than I’ve ever seen before including iced peach and pear and vanilla. A must for cake lover. If you’re in Dublin on a Tuesday night, check out the Ruby Sessions at Doyles Bar. It’s a weekly acoustic club renowned for hosting intimate gigs by new and established acts. People who have played there before include Mumford & Sons, and Rodrigo y Gabriella. O’Donoghues is a popular spot to catch some traditional live music. The traditional pub hosts live music every day of the week and is also just a good place to hang out and have a guinness. We found this cocktail bar on New Year’s Eve and celebrated with a well-made Old Fashioned. The vintage-style bar is a cosy place for a drink and a lovely place to spend the evening. When we went they were playing some great old-school music. The essence of Dublin nightlife is its pubs and there are no end of options to choose from. Kehoe’s is an atmospheric option, go for some Victoria splendour at Long Haul, or choose Auld Dubliner or Foggy Dew if you’re in Temple Bar. Time Out has a great comprehensive list. 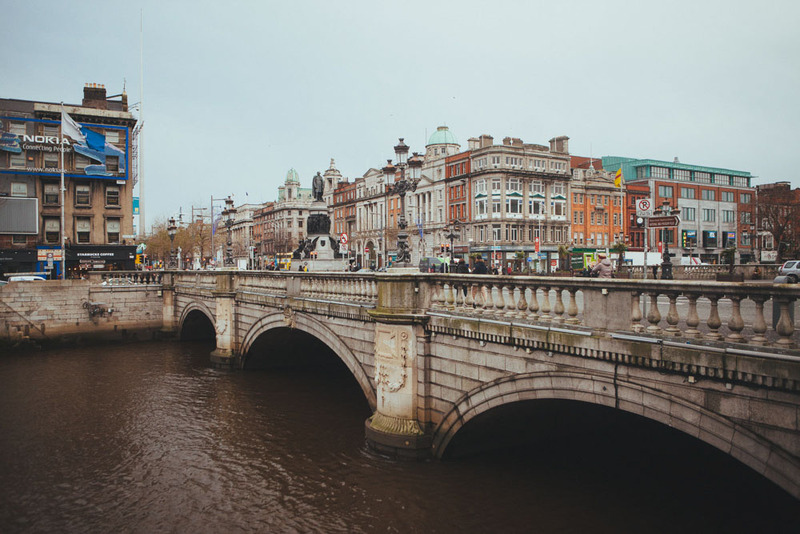 I have always tended to stay with family when visiting Dublin, but these places to stay come highly recommend by friends and fellow bloggers. An award-winning hostel right next to the Jameson Distillery. Dorm beds can be booked for as little as £8. Search prices and book here. Housed in an atmospheric 200-year-old wine cellar and close to the bus staion, Isaac’s is one of the city’s most popular hostels. Bunks start at around £10. Search prices and book here. Friendly boutique design hotel above Hogans Bar in the centre of Dublin. Rooms start around £60. Search prices and book here. 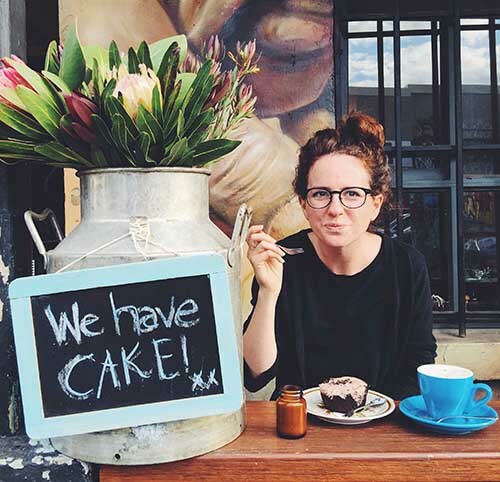 A hipster hotel, loved by Instagrammers and featured on Condé Nast Traveller’s Hot List. Rooms start around £100. Search prices and book here. Cosy guesthouse in two Victorian townhouses. A stone’s throw from the centre. Rooms start at £85. Search prices and book here. Quaint centrally located hotel, close to the National Museum and St.Stephen’s Green. Rooms start at £108. Search prices and book here. Opulent boutique hotel within walking distance of the main sights. Rooms start around £150. Search prices and book here. Modern luxury hotel on St.Stephen’s Green. Rooms start at £190. Search prices and book here. Stylish hotel in the Docklands area. Rooms start around £200. Search prices and book here. Top class hotel with a 2-star Michelin restaurant and beautiful landscaped gardens. Rooms start around £200. Search prices and book here. Dublin is a small city so most of the main attractions can be reached on foot. We also took a few taxis, which with four of us were pretty reasonable (around 10 euro from the Guinness Factory to St.Stephens Green). Another option is to buy a pass for the hop-on-hop-off bus tour, which takes in lots of the major sights. The public bus network is also good and easy to navigate. To get out of the city, you can jump on the coastal train, the DART. The Leap visitor card (similar to an Oyster card) is a good way to save money on public transport if you’re in the city for a few days. And download the Transport for Ireland journey planner to find your way around. 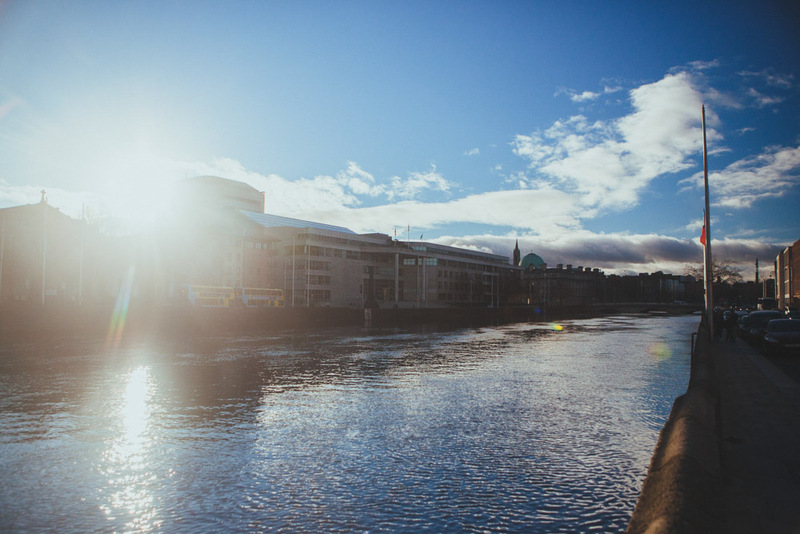 For some purely visual inspiration, take a look at our 28 photos to entice you to Dublin. We recommend World Nomads or True Traveller who both offer reliable, comprehensive cover, including medical, evacuation, baggage and a range of adventure sports and activities. You can buy both True Traveller and World Nomads insurance even when you’ve left home, which is unusual for travel insurance companies. We also have full, detailed itineraries for How to relax in Goa and Kerala; The ultimate South Africa honeymoon guide; How to make the most of 10 days in Japan; Finding hygge in Copenhagen, five days in Iceland, and more. See all our itinerary posts here. If you sign up to AirBnB using this link, you’ll get £25 off your first booking. Enjoy! NB: We recently went to Dublin as guests of the Irish Tourism Board, but I’ve also been in the past and all opinions and recommendations are, as ever, our own. It’s been years since I’ve been to Dublin and now you made me want to return there really badly! I so would love to visit all these vegetarian places and cafes, don’t remember them from the last time I was in the city! Pity I did not know of most of these during my visit. But reason enough for a follow-up !!! Do you have any tips for someone that loves Irish music but doesn’t drink? Are there non-alcoholic options in the pubs where the bands are playing? Appreciate the vegetarian restaurant options. There are always non-alcoholic options in pubs. It’s defibitely not a rule that you have to drink alcohol, so my advice would be to go anywhere!